The BlackBerry Priv was an odd device for many reasons. It was the first Android phone from BlackBerry, it was a flagship device with a physical keyboard, and it was the last phone manufactured in-house by BlackBerry. 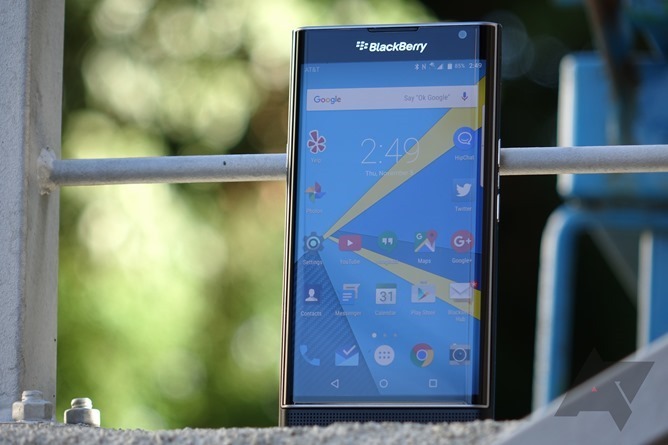 But as many Priv owners have probably been expecting, it won't receive further updates. BlackBerry's General manager of Mobilty Solutions, Alex Thurber, confirmed the news during the 100th episode of the UTB Blogcast. On the podcast, he stated that getting together all the partners required would be close to impossible. The Priv also wasn't very much of a success, so extended software support already seemed unlikely. The Priv shipped with Android 5.1.1 Lollipop, but was later updated to 6.0 Marshmallow. There are essentially no custom ROMs available for the phone either, so even unofficial ports of Nougat (or Oreo) seem unlikely. Hopefully TCL's newer BlackBerry devices will see longer support periods.